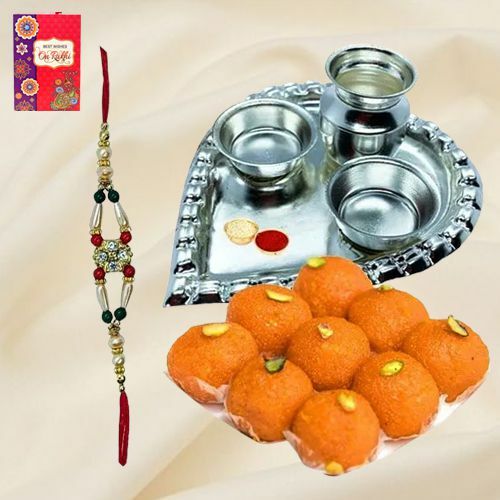 Add an unforgettable charm to your Raksha Bandhan celebration with the aid of this Trendy Rakhi and Silver Plated Paan Shaped Puja Thali decked beautifully in the auspicious presence of a free Rakhi, Roli Tilak and Chawal. Delight your brother with 52 gm. Aarti Tahli along with 250 gr. Haldiram Laddoo.